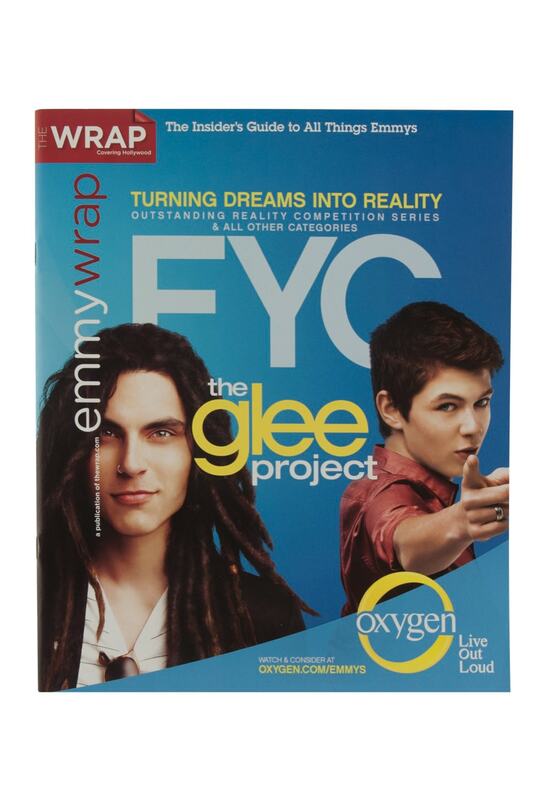 The Wrap News Inc. has established itself as a leading trade publication covering the entertainment and media industry. 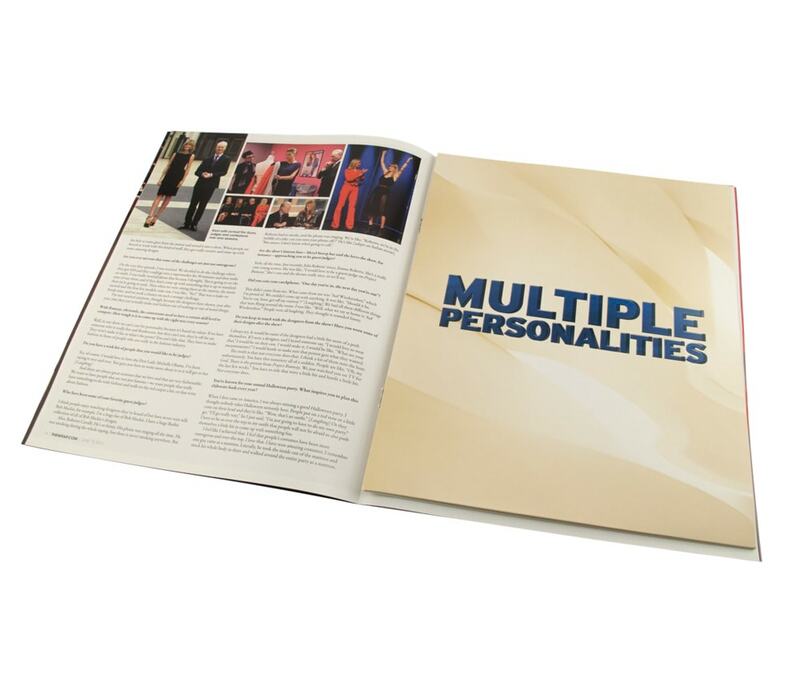 It reports on high profile events, news stories and offers a comprehensive examination of the entertainment industry. Trade publications provide advertisers with a unique opportunity to reach an industry specific target audience. Knowing this, The Wrap News Inc., worked with Americhip to present our capabilities to advertisers, allowing them to capitalize on the ad space using Americhip's award-winning paper engineered designs. This resulted in a successful sell in to one of the hottest names in television ---Bravo, the critically acclaimed cable network. 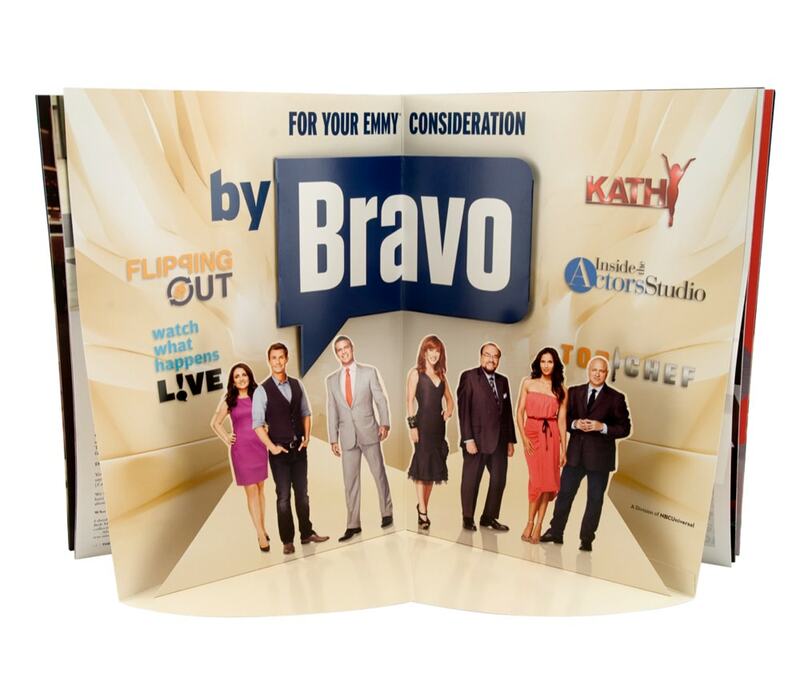 Bravo selected Americhip's proprietary "quadrant design" to promote several television shows at once. A dimensional stage featuring die cut figures of the celebrities stood out from the rest of the print ads in the publication. The Bravo logo was also dimensionalized overhead. The ad was memorable, dynamic and commanded the attention of the targeted readers. 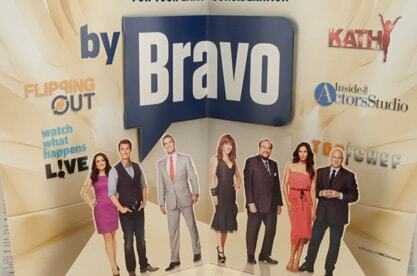 Both Bravo and The Wrap News Inc. were thrilled with the result.